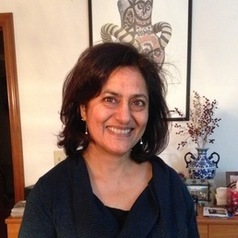 The research in Professor Nandini Trivedi’s group focuses on the effects of strong interactions in condensed matter systems and ultracold atoms in optical lattices. The basic idea is to understand how electrons and atoms get organized at very low temperatures and how new phases of matter emerge. For example, we examine quantum phase transitions between superfluids and Mott insulators in optical lattices and also how fermions become entangled into novel spin liquid states. We are also involved in many new avenues of research, including phases in complex oxides, such as high Tc superconductors and double perovskites, emerging form the interplay of charge, spin and orbital degrees of freedom. Our approach is to combine different types of quantum Monte Carlo simulations with analytical methods.